The Lakers’ top free agency priority has entailed securing a marquee frontcourt player. 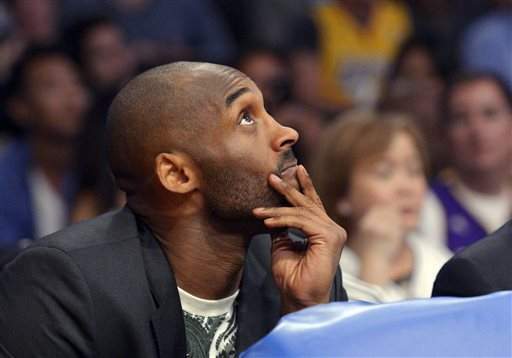 But that has not stopped the Lakers from also looking elsewhere. Lakers general manager Mitch Kupchak expressed interest in signing Chicago Bulls small forward Jimmy Butler and Cleveland Cavaliers small forward Iman Shumpert, according to a league source familiar with the situation. The likelihood of the Lakers landing either player seems challenging since both are restricted free agents. 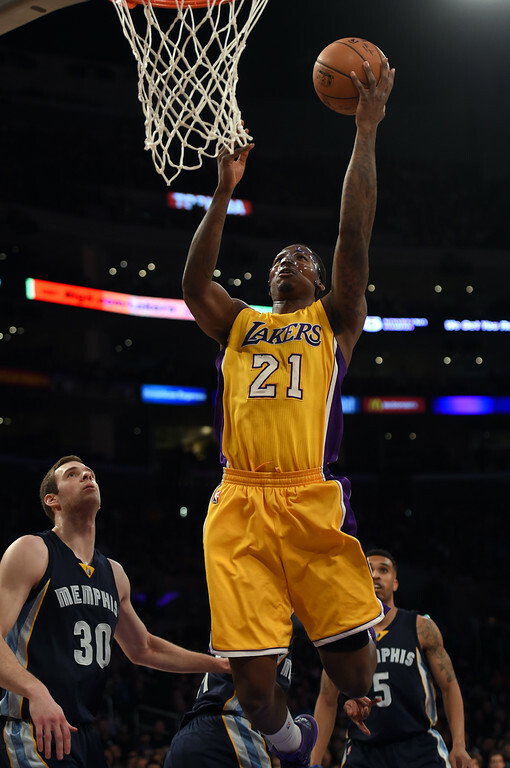 The Lakers repeated something to Ed Davis’ representatives on Tuesday night that they have said throughout the course of the 2014-15 season. The Lakers expressed interest in retaining Davis, according to a league source familiar with the situation. He posted career-highs in scoring (8.3 points a game), field-goal percentage (60.1), rebounding (7.6), blocked shots (1.2) and assists (1.2) in his fifth NBA season. Whether that happens, however, remains in question. Four other undisclosed teams also expressed interest in Davis, according to a league source. Although it is not clear which teams reached out, it is possible any of them could offer something more than the Lakers can afford. After declining his $1.1 million player option, Davis would like a two or three-year deal worth $7-$8 million or a one-year deal worth $9-10 million. 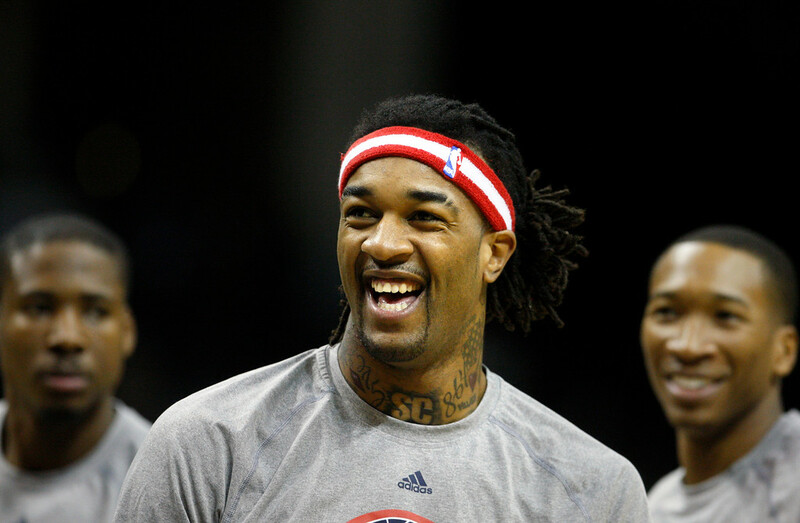 Despite declining his team option worth $9 million only a day earlier, the Lakers expressed interest in re-signing Jordan Hill as a free agent, according to a league source familiar with the situation. Hill’s representatives also fielded “several calls” from other interested teams, according to the league source. 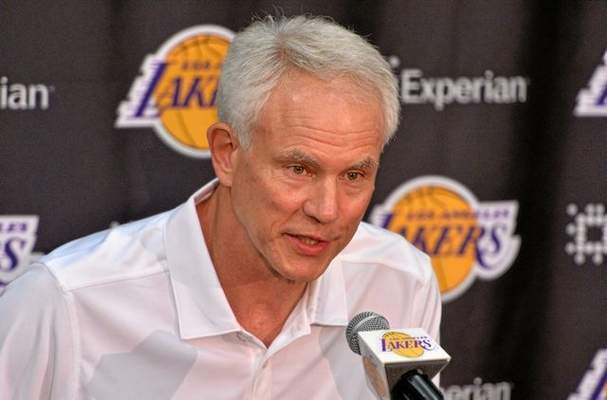 By waiving Hill’s team option, the Lakers secured $23 million to spend in free agency. 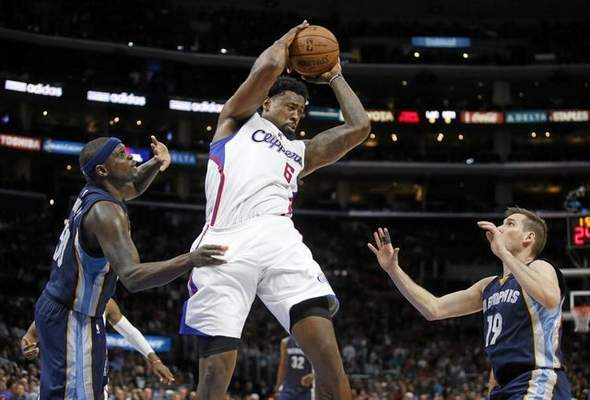 They can also re-sign Hill at a discounted price, though it remains uncertain considering the team’s glut of power forwards in Julius Randle, Ryan Kelly, Tarik Black and Larry Nance Jr. Ed Davis also declined to exercise a player option worth $1.1 million. The Lakers want to retain him, though that might not happen if Davis fields more lucrative offers elsewhere. The Lakers plan to host a set of heavy hitters for when they meet with Portland center LaMarcus Aldridge at 9:01 p.m. in Los Angeles, which will mark the beginning of free agency. Lakers guard Kobe Bryant is expected to sit in on the meeting, according to a league source familiar with his itinerary. He will join Lakers president Jeanie Buss, general manager Mitch Kupchak, executive Jim Buss, coach Byron Scott, assistant general manager Glenn Carraro, senior vice president of business operations Tim Harris, team spokesman John Black, representatives from Time Warner Cable SportsNet and AEG. Former Lakers forward James Worthy, who serves as a studio analyst for Access SportsNet, also plans to attend the meeting. Monday, May 05, 2014, Long Beach, CA. 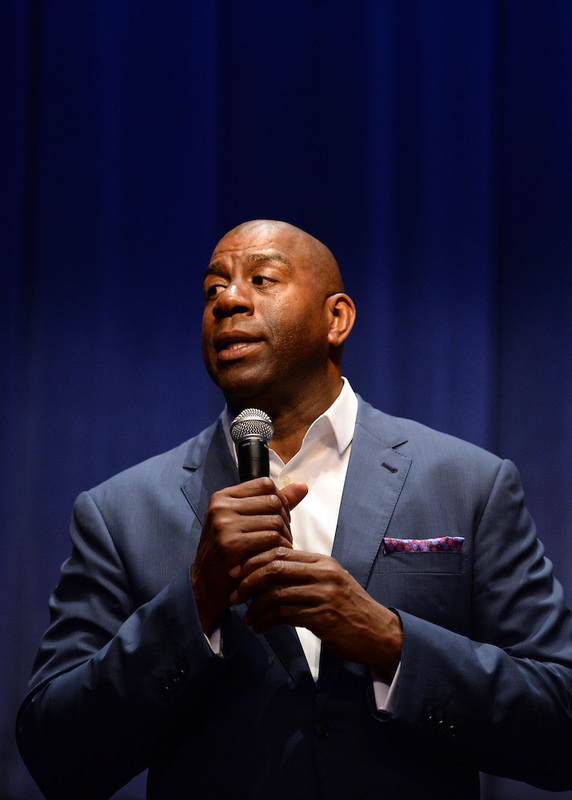 Magic Johnson once delivered the Lakers NBA championships with no-look passes and timely shots. But the Lakers legend will not be around for the team’s latest quest to return to championship contention. Johnson, who is a part of an ownership group with the Dodgers, left on Tuesday for a vacation in Europe, according to a source familiar with his itinerary. Although it is currently unclear when Johnson will return, it is safe to say he will not be available for the Lakers’ initial meetings with marquee free agents. The Lakers currently plan to visit Portland center LaMarcus Aldridge tonight at 9:01 p.m. PST and Clippers center DeAndre Jordan on Wednesday. They likely will have even more meetings scheduled this week. My colleague Thuc Nhi Nguyen produced videos surrounding everything about the Lakers in the 2015 NBA Draft. Above, I provided my analysis of the Lakers’ draft picks at No. 2 (Ohio State freshman guard D’Angelo Russell), No. 27 (Wyoming senior power forward Larry Nance. Jr) and No. 34 (Stanford senior small forward Anthony Brown). Below, there is video highlighting the main parts of Monday’s press conference with all three players. Los Angeles News Group intern Alex Nieves had a brief one-on-one interview with Brown in the video below. 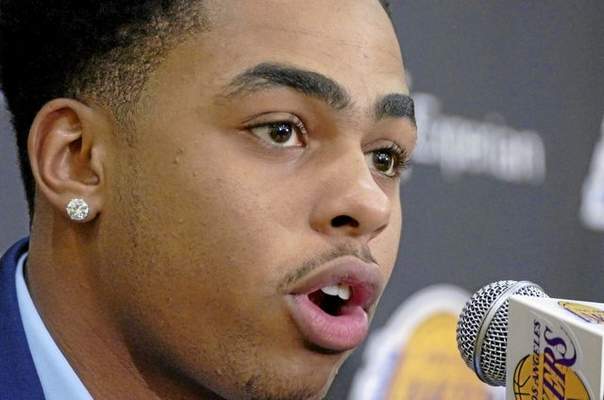 Can D’Angelo Russell bring ‘Showtime’ back to the Lakers? How they arrived with the Lakers seems different, though both D’Angelo Russell and Jordan Clarkson may finish their respective journeys the same way. Russell officially became a Laker five days ago after selecting him second in the 2015 NBA Draft. He sounded determined to meet the high expectations that includes becoming the Lakers’ next great point guard since Magic Johnson and eventually having his jersey join other Lakers luminaries on the Staples Center rafters. Clarkson became a Laker nearly a year ago after paying $1.8 million to Washington to secure his rights to the 46th pick. Since then, Clarkson has proven countless teams wrong for passing on him by earning a spot on the NBA’s All-Rookie first team. Amid those different stories, Russell sees the same mentality on how both he and Clarkson stepped on the court eager to show their growth. 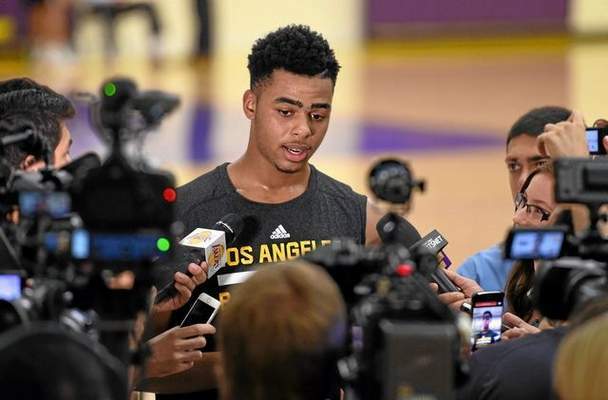 Hence, Russell expressed confidence both he and Clarkson will play well together in a dynamic that will involve sharing ball handling duties with Kobe Bryant. No NBA team can contact free agents until the clock strikes 9:01 p.m. on Tuesday. But that does not preclude teams from setting up meetings with them. The Lakers plan to meet with Portland center LaMarcus Aldridge once free agency starts on Tuesday night, according to a league source familiar with the team’s itinerary. The Lakers will then follow that up with a meeting on Wednesday with Clippers center DeAndre Jordan, the league source said. The Lakers will put the highest priority in acquiring a marquee frontcourt player after selecting Ohio State point guard D’Angelo Russell with the second pick of the 2015 NBA Draft. But it remains unclear if they can attract other candidates, such as Memphis’ Marc Gasol, Cleveland’s Kevin Love or Detroit’s Greg Monroe. The most important caller in D’Angelo Russell’s short Lakers tenure finally reached his cell phone. Four days after Russell experience elation over the Lakers selecting him with the No. 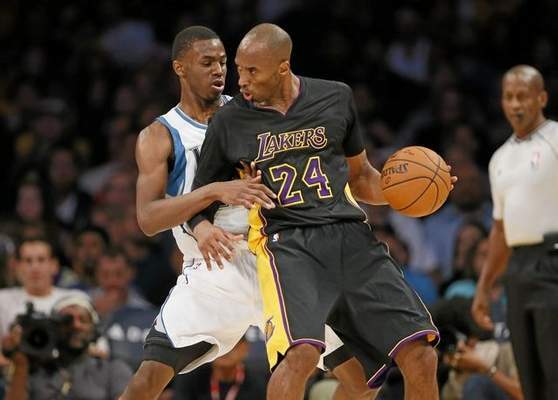 2 pick of this year’s draft, Kobe Bryant reached him and then peppered him with a compliment. “He said he heard great things about me,” said Russell earning Big 10 Freshman of the Year honors for averaging 19.3 points and five assists with Ohio State. But instead of reveling in the Lakers’ star praising him, Russell quickly told Bryant something that suggests the two speak the same language. Russell then said that entailed “everything,” mindful that Bryant enters his 20th and possibly last NBA season with an extensive resume that includes five NBA championships, a third place on the league’s all-time scoring list and overcoming numerous injuries. What started out with elation soon turned into dread.